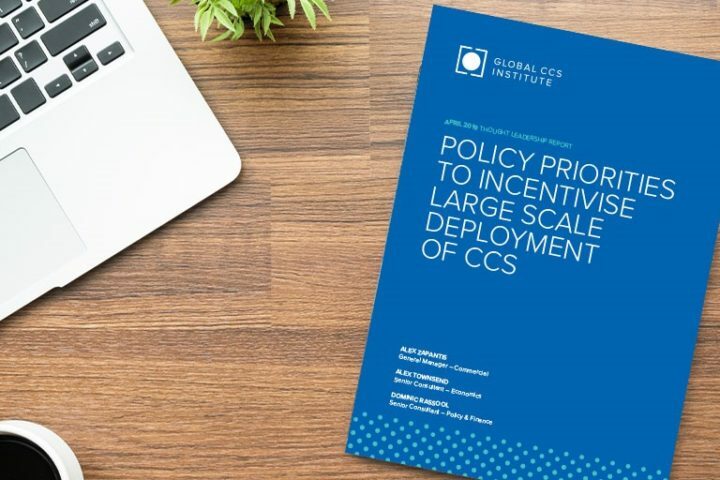 The Global CCS Institute is releasing a new report highlighting strategic policy priorities for the large-scale deployment of carbon capture and storage (CCS). The Institute’s report also reviews the progress achieved until now with existing policies and the reasons behind positive investment decisions for the current 23 large-scale CCS projects in operation and construction globally. In our upcoming webinar following the report launch on April 2, two of the paper's authors will provide insights into the key findings and recommendations put forward. Topics to be addressed in this discussion include: an assessment of the barriers to CCS deployment, the conditions that have enabled current CCS facilities, the lessons learnt from current projects and the strategic priorities for policymakers to support CCS deployment. If you are unable to attend this webinar, a recording will be made available the week following the event. If you would like to receive a notification once the recording has been made available, please register for the event using the link below and you will be included on the mailing list. Alex is responsible for providing economic analysis and advice at the Global CCS Institute. He joined the Institute in September 2018 and is based in the London office in the UK. Prior to joining the Institute, Alex worked in the UK Government for nine years as part of the Government Economic Service. During this time, he worked on a range of energy and climate change topics, including household energy efficiency, wholesale gas and electricity markets, climate change adaptation, and the rollout of smart electricity and gas meters. He also worked on trade policy and the assessment of applications for grant funding for large industrial projects during the early stages of his career in the UK Government.Alex holds a BSc in Economics from Cardiff University and MSc in Economics from Birkbeck College, London. Dominic is the Senior Consultant – Policy and Finance at the Global CCS Institute, and is based in London, UK. With over five years’ experience working in the climate finance sector, Dominic has acted as a technical expert or an adviser to several projects, including ones developed by the United Nations Development Programme. He has significant experience in the design and development of climate change mitigation projects across the Middle East, North Africa and Western African states as well as Small Island Developing States, specialising in funding from multi-lateral funds, namely the Global Environment Facility (GEF) and the Green Climate Fund (GCF). Dominic has broad experience developing renewable energy projects in high-risk environments and has deep expertise in policy and financial de-risking to support investments in climate mitigation projects. He holds an undergraduate degree in Sustainable Built Environment from the University of Nottingham and a Masters degree in Environmental Design Engineering from UCL.